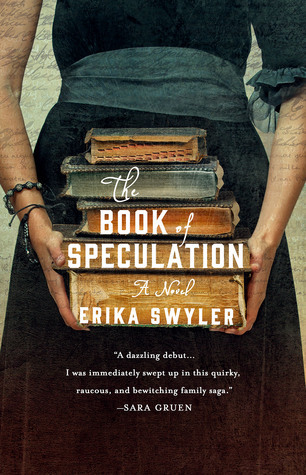 The Book of Speculation by Erika Swyler held what could have been a fantastic novel. I liked the mysterious of the main character’s family. All the females who can hold their breath for long periods of time under water. They were mermaids. But in present day time, he received a book with his grandmother’s signature. It led him on a quest about his family and their ‘curse’. Fantasy comes into play here, too. But the whole story just didn’t mash well. I liked it at the beginning until it just washed away completely. The switching back and forth from present to past was a bit flat as well. I wanted to know so much. The action didn’t cut it and the characters were blah. It was more a telling than showing kind of read.